Cook meatballs in large skillet over Medium-High heat for 5 minutes, stirring occasionally until browned on all sides. Reserving drippings in skillet, place meatballs in 4-quart slow cooker. Reduce heat to Low; add oil to skillet to make gravy. Whisk in flour and next 4 ingredients until smooth. Increase heat to Medium; cook, whisking constantly, for 1 minute. Gradually whisk in chicken broth and wine. Cook, whisking frequently, 4 minutes or until slightly thickened. Pour gravy over meatballs. Cover and cook for 3 hours on Low. Remove meatballs from slow cooker with a slotted spoon, and place in a serving bowl. Add sour cream, parsley, and if desired, jelly to gravy, whisking until blended. Pour over meatballs. Serve over hot cooked noodles. Garnish, if desired. 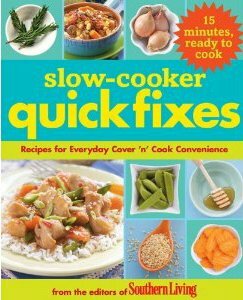 This Swedish Meatballs recipe is from Slow-Cooker Quick Fixes: Recipes for Everyday Cover 'n Cook Convenience (Oxmoor House, 2010).